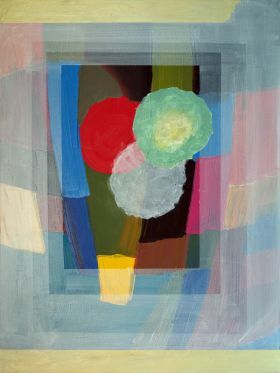 Mid-Century Studio contains a selection of work by modern master artist Max Dimmack. 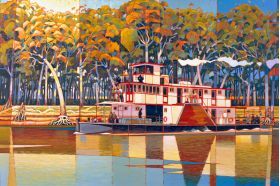 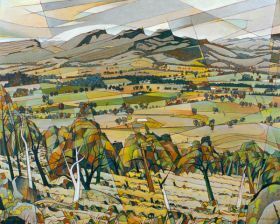 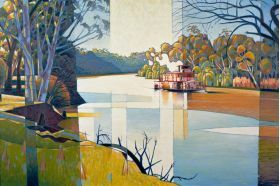 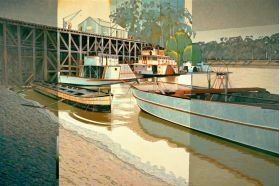 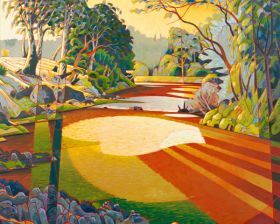 Skilfully absorbing and modifying the most fundamental techniques of 20th Century Art over a 60-year career, Dimmack melds his razor-sharp observational abilities with elements of Post-Impressionism, Cubism, Fauvism and Romantic landscape. 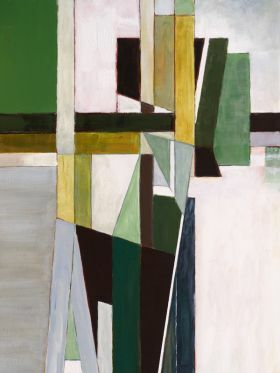 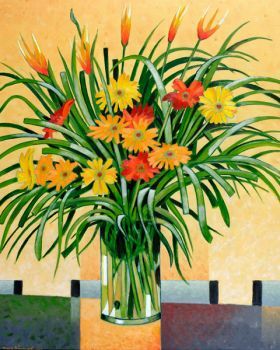 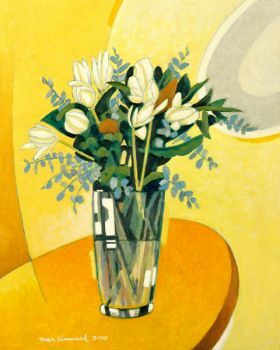 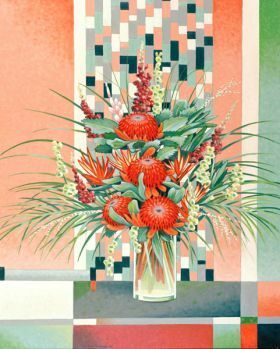 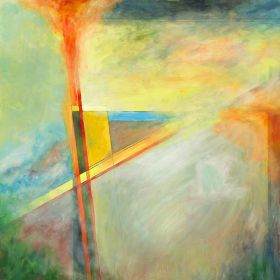 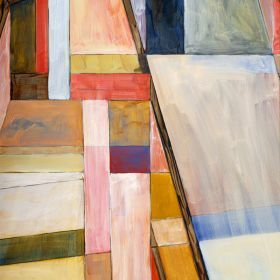 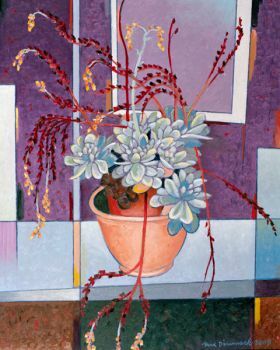 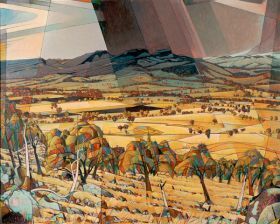 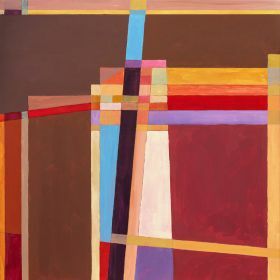 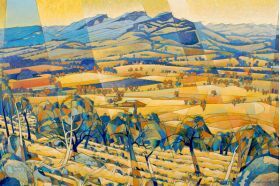 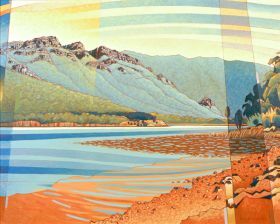 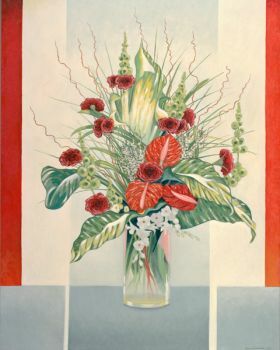 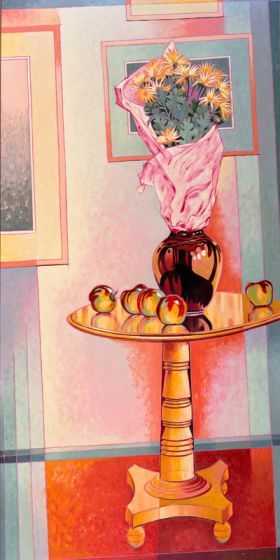 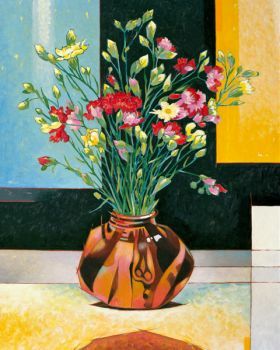 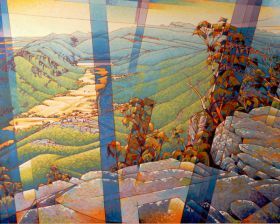 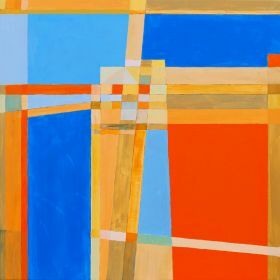 Although primarily concerned with the geometry and colour of the landscape throughout his long career, Dimmack's later still life images add an extra dimension to his output, revealing an unexpected Art Deco sensibility. 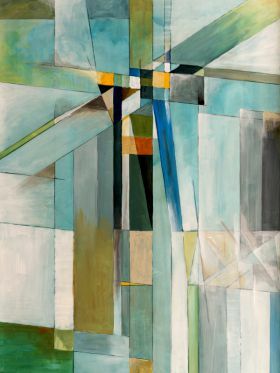 The constant concern with geometry in nature within Dimmack's work results in a fortuitous opportunity for the contemporary interior designer or home-maker. 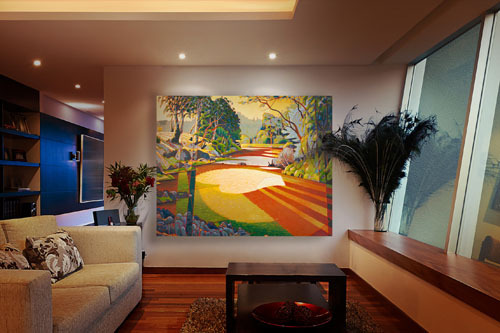 Design elements in the artist's work can be used to mirror the structural features of your room as shown in this installation view. 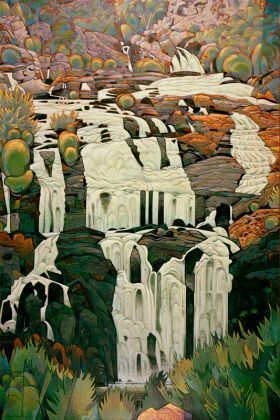 Dimmack's non-literal interpretation of landforms and his carefully crafted approach to nature is sure to get your clients or home guests talking.